New Zealand’s latest marine reserve has opened in Akaroa Harbour, Christchurch. The new reserve will benefit numerous species of marine life. The 512-hectare reserve, which opened on 8 June, covers the north eastern corner of the Akaroa Harbour. 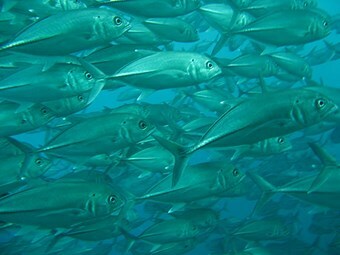 The reserve status means all marine life is protected and that fishing and the removal of any living or non-living marine resource is prohibited. Most of the rest of the harbour is managed under a Taiapure established in 2006. Species of marine life that will benefit from the reserve include giant bull kelp, sea tulips, sponges, green and horse mussels, butterfish, blue moki, leatherjacket, white pointer sharks, penguins, shags and marine mammals such as fur seals and Hector’s dolphins. Conservation minister Dr Nick Smith commented: "This newly protected status is well deserved. The scenery surrounding the reserve is some of the most spectacular coastline anywhere in New Zealand with its huge volcanic cliffs, wild sea caves and unusual sea stacks." Selwyn MP and Environment Minister Amy Adams added: "I appreciate that this reserve has been a contentious local issue spanning 20 years of debate. We need to recognise that marine life in the Akaroa Harbour is not as good as it should be and that this reserve is about ensuring it improves for future generations. "The next step will be integrating the local management of the Akaroa Taiapure and Akaroa Marine Reserve so the two mechanisms work together."